Here is the table I painted up for the fundraiser for my son's classmate who was paralyzed in wrestling warm-ups. I love being part of a small community that pulls together when one of their members is in need. Should be a great event--dinner, auction, carnival, music. Please say a prayer for the young man, Wyatt, as he and his family continue to struggle with this tragedy and a life very different than they had planned. He is currently in Colorado for 6 months of intensive therapy/treatment. We continue to pray for a miracle as the spinal cord was crushed, but not severed. There is both a cream and light colored blue paint under the brown paint and the swirls are cream and light blue. Keep those great ideas coming--I have been so excited by your participation and hope more of you will come out of the woodwork and link up your under $100 ideas (I have a goal of 50 links this week--help me out)! 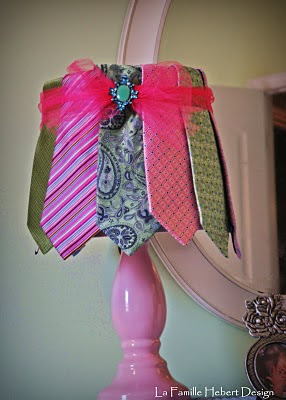 Here are some fun ideas from last week's linky party. Learn how to turn a new baby shoe into a treasured heirloom at Treasures from the Heart. became this at Love to Junk? And who doesn't like some easy artwork made by Stephie? 1. Please include a description in your link post. 2. Only post an idea that cost $100 or less--it would be great if you tell us the cost of your project, but not a must. 3. Please link to the specific post, not to your blog. 4. Please grab my 100 ideas under $100 button on the side bar and include it in your post so people can find us. 5. Check and make sure your link works--I often click on people's links and they don't work. If it doesn't, try again--you can let me know and I can delete the one that doesn't work--I don't know if you can. Have You Hugged Your Teen Today? Teenagers--argh, they can be infuriating. 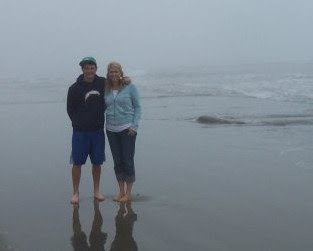 But today I am reminded how little time left my teen has at home and how grateful I am for his health and safety. Last night one of his good buddies was in wreck on our icy Montana roads--he is fine, rung his noggin' and totaled his car. While slowing down for the wreck, my son spun into on-coming traffic. He continued to spin across the road into a turnout and was shaken, but safe. And today I am working on a project to sell at a benefit auction for one of my teen's classmates. He was injured right before Christmas in wrestling warm-ups and is now a quadriplegic. So take a moment today to hug that kid who questions every decision you make, argues at every turn, and frustrates you to tears some days. edited to add: When my son came home from school today he gave me a huge hug. I was touched--then realized it was because I had baked cookies. When he found out they were for the teachers, he was bummed. Oh well, a hug is a hug--plus I let him sneak a few cookies. Again, thanks all for linking up. I have decided that I will highlight some of your wonderful ideas on Thursdays, when we have a new linky party. Does that work for you? Finally, here is more of the sweater that I made the heart wreath out of. I sewed up some little stuffed hearts and am displaying them with a couple bedsprings. These are quick and easy--cut out, sew right sides together, leaving a 2-3 inch open space on the side, turn, stuff, handstitch shut. Here is another set made from a different wool sweater. Oh and here is my version of the scrabble Love You I have seen. The picture next to it is my dad. Thanks everyone for linking up. It is kind of like Christmas, waiting for links--very exciting. Please check the links out and leave a comment on some. I bought this mystery shelf at the thrift store. Mystery because I have no idea what it was used for. Obviously it was homemade and I think might have been used for potatoes or something that needed air. I like the back panels with the holes in them, but you can't get anything in from that side. Notice the slanted bottoms of each shelf? I cleaned it up, painted it and once again added the 1,2,3, like on the step ladder (I am not keeping the step ladder, but selling it, so no worries, my entire home won't be about counting to 3). I put it in my bathroom to hold TP, magazines, and washcloths. And the dreaded scale slides underneath it. So this is idea #11. But, I know what you are saying, "Well that's nice Becky, but how can I use this idea in my home? I am not going to find a shelf like that." But the lesson here is to look at different or odd pieces in a new light. Don't think about what they were, but about what they can become. I was going to pass on this little shelf, but I am glad I didn't. The minute I brought it home I realized it would be the perfect thing to organize those items in the bathroom. What mystery or odd piece have you made work for you? Oh, I hope you all are back for my Under $100 linky party. And I hope even more of you join. I truly loved all of last week's ideas and I hope you found something great too. Here is idea #10 from me. Anything can become art if you put it in a shadow box. To make this quick shadow box I used two frames that were different sizes and glued them together. Then I painted them, sanded and stained them. Glue the glass for the top frame around the edge and pop it into place. 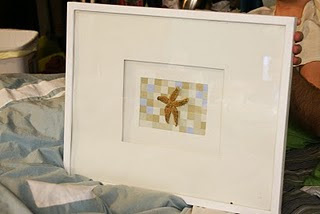 Cover the cardboard frame from the largest frame with fabric, and glue your object on the fabric. You can do this with three frames too, of graduating sizes. The silverware was my grandparent's. Ok, on your mark, get set, go. 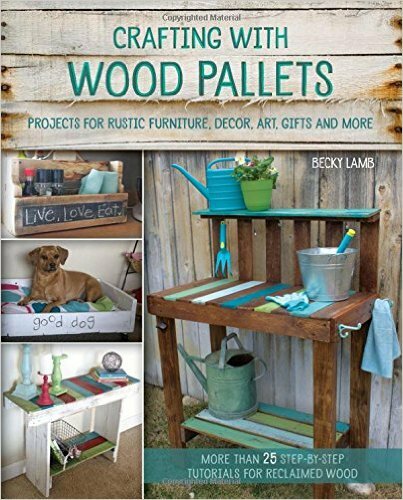 Link up and show us those great under $100 projects. Idea number 9 is a simple step ladder. I picked this one up for $3 at the thrift store. I painted green, cream, and blue on it, wiped it with some walnut stain, and added the cricut numbers. Here is the fun part, deciding where to use it. It looks great in a living room as a decorative piece. How about in a kid's room for stuffed animals? It would be great in a bathroom. Notice the reading material hanging off the back ladder rung. What about in the guest room holding pictures? And my favorite, in the kitchen as a wine holder. If you use it this way either sand indentations in the back rungs to hold wine more securely or cover the backs rungs with the grip shelf liner. That's a wine opener on top--looks a little funny from this angle. What ideas do you have for a step ladder? Merci, Gracias, Thank You for linking up for my first ever linky party. All of your ideas were so wonderful. I hope you took the time to check some of the links out. Plan on joining me again this Thursday, and every Thursday and link up. Who can't use more ideas on the cheap? Did you see this fabulous hall tree at Attic Rat? Isn't that color divine? And how about this remake for glass mugs at Snowman Hill? I never knew Stayz On ink was permanent on glass. 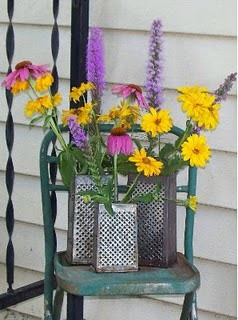 Here is a great use for those rusty cheese graters at The Lemon Cottage. And I bet I will have one of these made by the end of the week from A Very Blessed Nest. And the winner of the coasters is Molly from Toile in the Family. Congratulations Molly and thanks for sharing your great buffet. 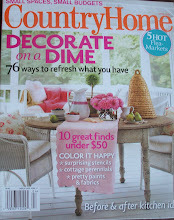 Ideas 6, 7, and 8 come from my daughter's girly, bohemian room. A couple of scrapbook paper "books" and some border wall paper paste and you have a fun and funky wall. I had intended to leave more open spots, places where the wall color (blue) showed through, but it didn't work that way. I used some chipboard letters to spell out words such as read, play, love, dream, joy (my daughter's middle name). I spent about $35 on this wall. The second idea here is the $3 thrift store table cloth turned curtain. I used tacks to attach it near the ceiling. And idea #8 is the holdback for the curtain. 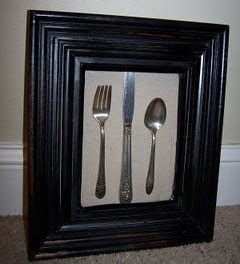 I am sure you have seen silverware used this way. We added some ribbons and Christmas garland crystals to the fork for a little extra bling. I have a few more projects to show you from her room soon. Thanks to those who linked up for my first linky party--you can still join the fun and have a chance to win a set of felt coasters--see the post below. Oh, and Happy birthday to my OLDER sister if you are reading this--I love you! 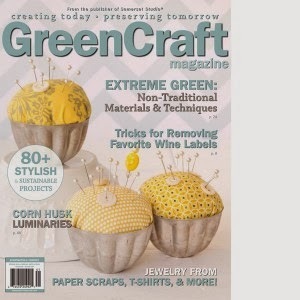 My First Linky Party--Please Join Me!